If anyone doubted that cricket is a most difficult game for predicting the outcome, the India-Australia series that ended on Wednesday should clear his mind. 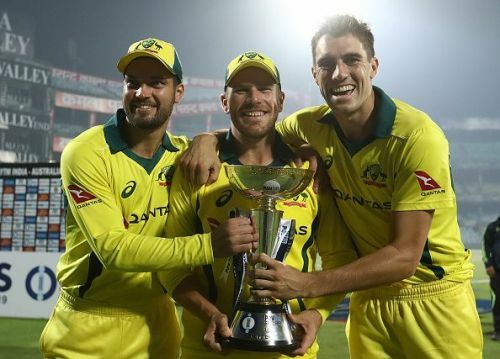 An Australian team that struggled to win matches at home, leave aside games in other countries, suddenly found the strength and vigour to win an away series in the most difficult country – India. The Aussies – beaten easily by men-in-blue in their own backyard – came to the subcontinent with no hopes of a victory. A 5-0 whitewash by the hosts seemed quite likely. The fact that Australia’s two leading bowlers – Mitchell Starc and Josh Hazlewood – were not in the side made them look all the more hopeless. When they lost the first two games, it all seemed heading towards a clean sweep. 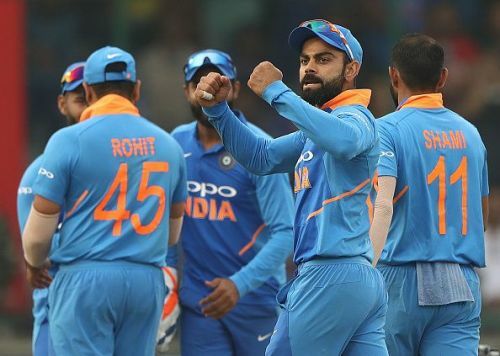 Then the glorious uncertainties of cricket appeared in all its glory to hand Virat Kohli his first home ODI series loss as captain. It doesn’t need to be pointed out how important this series was to both teams. With the World Cup less than 100 days away, every match is of utmost value. Now that this 5-match contest is over, there are some very important takeaways that need to be looked at. Let us list the biggest lessons we can glean from this series. Ever since T20 cricket became a global phenomenon, cricket experts have been raising questions about the future of 50-over cricket. Some have even gone to the extent of saying that this format needs to be scrapped altogether. In fact, while Test cricket’s viability is discussed most often, ODI cricket has been placed at the greatest danger of extinction due to the continuous negative commentary it receives. This 5-match series should quieten the doubters for some time to come. What we witnessed was cricket of the most riveting quality. Virat Kohli’s majestic batting was there, as usual, but a lot more also. High-quality pace bowling, skilful spinners, batsmen who employ power and also those who exude elegance, everything was on show. But the most important aspect of the series was the gripping nature of the contests. The action kept everyone engaged and the story of the matches evolved like a brilliant movie or novel – full of twists, turns, sub-plots, set-pieces and great climaxes. Such kind of intriguing cricket can only be provided by ODI cricket which gives time for the game to develop but also guarantees a result. It’s about time people stopped winging about 50-over cricket and started celebrating and enjoying it.